Finding the perfect bedding sets for any bedroom is a complicated task. Looking for the perfect color combinations and theme for bedroom decorating takes a lot of time. Decor4all presents creative design idea for bedding sets which can be colored and decorated with unique patterns and images. These bedding sets can be easily transformed into striking accents that decorate any bed and look like artworks. 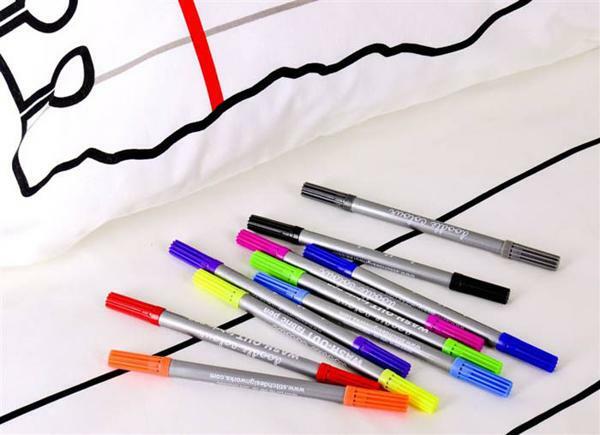 Markers are all you need to paint the bedding sets, created by Doodle by Stitch for artistic souls, adventurous mind and skilled hands. 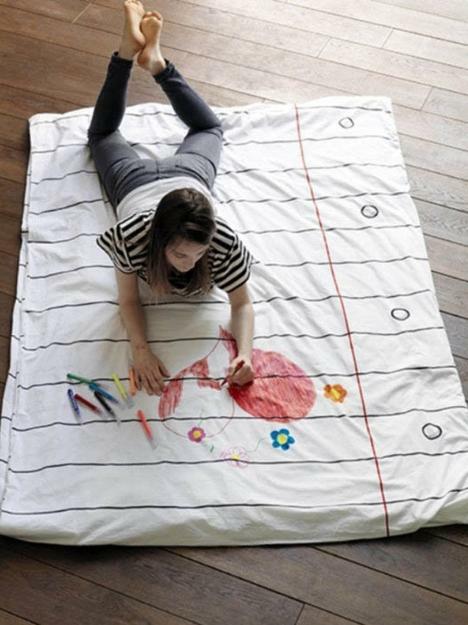 The bedding sets are snow-white, providing a great canvas for unique painting ideas. 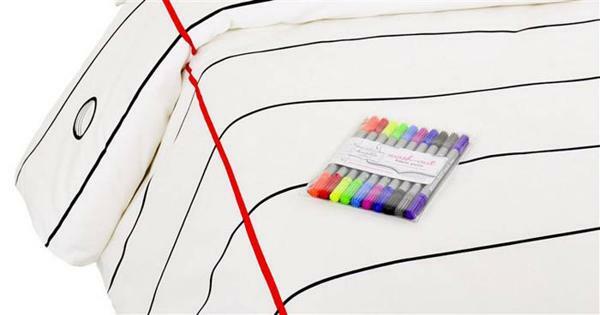 The markers for painting in different colors are included in each set of linens. The are water soluble, so after each wash the artist can start creating again. 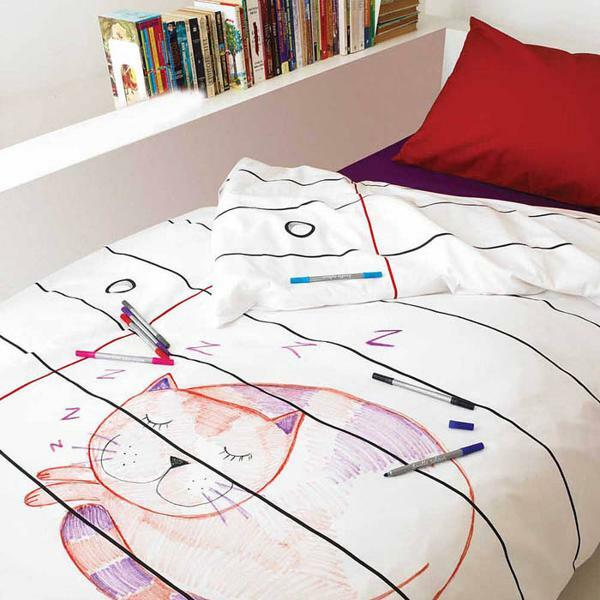 These unusual, surprising and modern bedding sets are great for creative people, and will especially delight kids. Meaningful and funny painting helps design unique beds and add more art to bedroom decor. The bedding sets will appeal to those who gets inspired anytime and anywhere, including in the bed. Water soluble markers for painting on linens will not allow to forget new ideas. The bedding sets are made from 100% cotton and are available in two sizes, offering wonderful gift ideas for kids and adults.